The issue of police brutality isn't fading from the public consciousness in the United States anytime soon. The cause has been helped by several public figures, who have used their influence to bring attention to a massive institutional failure — figures like U.S. Attorney General Loretta Lynch, who has criticized police in the Sandra Bland case. This isn't the first time that the new attorney general has discussed racism in this country. Bland drew national attention when she died in Texas police custody. The black woman was arrested for not using her turn signal by a white officer, who said she was uncooperative. She died three days later. The autopsy revealed that the cause of death was suicide, but her family has pushed for a second autopsy, saying they had no reason to believe she was depressed, according to The Dallas Morning News. An independent investigative team is now examining the case. “The one thing that has come out of this tragic, tragic situation — the loss of life of this young woman — has been a discussion about specific police techniques,” Lynch said. We live in a time where people fear the police. But we must also understand that when people say they fear the police, as bad as that is, they are also expressing an underlying fear, that when they are confronted with the criminal element in our society, they will have no one to call upon to protect them. And that feeling of vulnerability and utter helplessness is the worst feeling that we can inflict upon fellow members of our society. Lynch said this in 2000, at a luncheon for the Association of Black Women Attorneys, according to The New York Times. She likely had no idea how relevant her words would end up being for her career today. Building a better relationship between the police and the minority community serves us all. The community desperately wants it. If people did not want things to get better, they would have burned the city down by now. 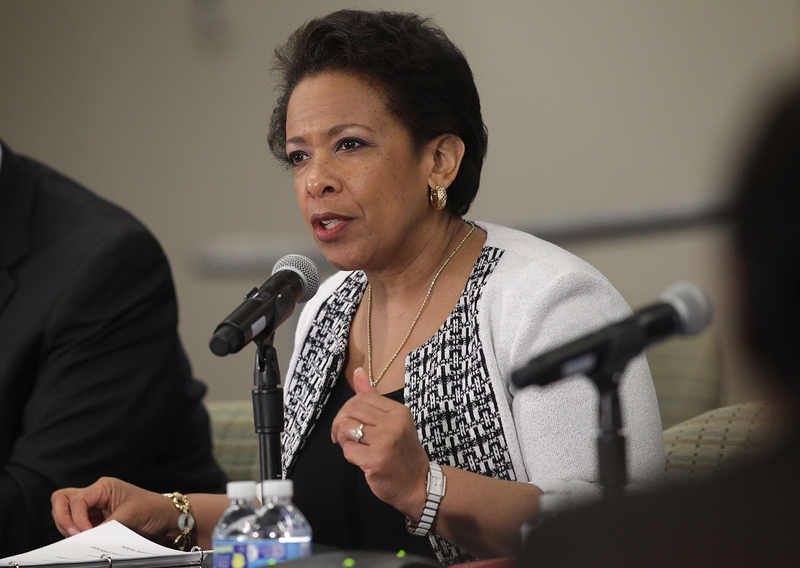 Lynch made this statement at the Benjamin N. Cardozo School of Law, to the Black Law Students Association. She seems to have become attorney general at the perfect time. Senator, I believe the right and the obligation to work is one that is shared by everyone in this country, regardless of how they came here. During a Senate Judiciary Committee confirmation hearing, Senator Jeff Sessions asked Lynch who she thought possessed a greater right to work: illegal immigrants or lawful immigrants and American citizens. Her response was pretty perfect. When the city is in turmoil and literally in pain as you have described, to watch people come together and be as determined as the city of Baltimore has been, to reclaim the city, to rebuild the city, and to make it again the great city that it has always been, has been inspiring for me. We're here to hold your hands and provide support. Lynch said this when visiting Baltimore after the death of Freddie Gray. She talked to Gray's family privately and met with community leaders, according to CBS News. The Departments of Justice and Education have pushed for the loosening of schools' zero-violence policies, which often target minorities and students with disabilities. African-American and Hispanic students are often pushed into what advocates call the "school-to-prison pipeline," according to CNN. Make no mistake; hate crimes are the original domestic terrorism. Lynch said this after visiting 16th Street Baptist Church, the location of the 1963 Birmingham bombing. She toured the church just one week after the shooting in Charleston, South Carlina. While crime is down, there is a large part of our community that still does not feel safe, and that means that law enforcement has not done its job, no matter what the numbers say. Lynch is a rare figure who makes equality a real priority. Her commitment, at least, is strong.